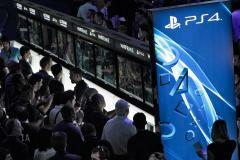 The PlayStation 4 represents more than just the next generation of gaming for Sony. It could be the flag bearer for the next generation of the 67-year-old company itself. Sony CEO Kaz Hirai (who formerly ran the PlayStation division) has made it clear that he sees the console as one of the tentpole units that will lead the company back to prosperity. And early indications are that it plans to do that by changing the closed gate philosophy Sony has clung to for so long.